Mission: To provide responsive, quality physician management, and consulting solutions to healthcare providers that enable all clinical service lines to thrive. Philosophy: To achieve our mission by striving for excellence in our standards of performance by maintaining ethical and personal relationships while remaining financially sound. 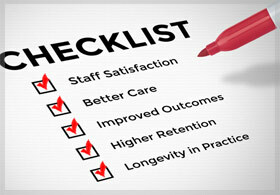 USRadMgmt is an integral part of that retention strategy. USA Radiology Management Solutions, LLC provides hospital administrators and radiologists with tailor-made radiology solutions specific to their individual needs. USA Radiology Management Solutions, LLC (USRadMgmt) is a radiology services provider with corporate offices in St. Louis, MO and Bonita Springs, FL. USRadMgmt provides on-site radiologists, sub-specialty interpretations, teleradiology, WRAP-AROUND services as well as final and preliminary radiology reports. All studies are read by US-based, Board Certified radiologists. As a trusted partner, we augment and expand radiology services with comprehensive, turn-key solutions. We are experts in building local, stable physician teams. USRadMgmt recruits only board certified or board eligible radiologists. Our hospital customers set the priorities that guide our search for ideal physician candidates. We find radiologists whose expectations for volume, acuity, practice setting, organizational culture, and community lifestyle match the hospital’s priorities. As a result, USRadMgmt physician teams boast a 95% physician retention rate (averaged over five years).